Tension is not important for this design, just ensure you have a nice tight finish..
Magic ring = make a magic ring, hold thread in your hand and wrap working yarn around forefinger twice to create ring, slip ring off your finger and insert hook to pick up first st, 1ch, then work the necessary sts for round 1 and close the ring tightly by pulling the loose end. 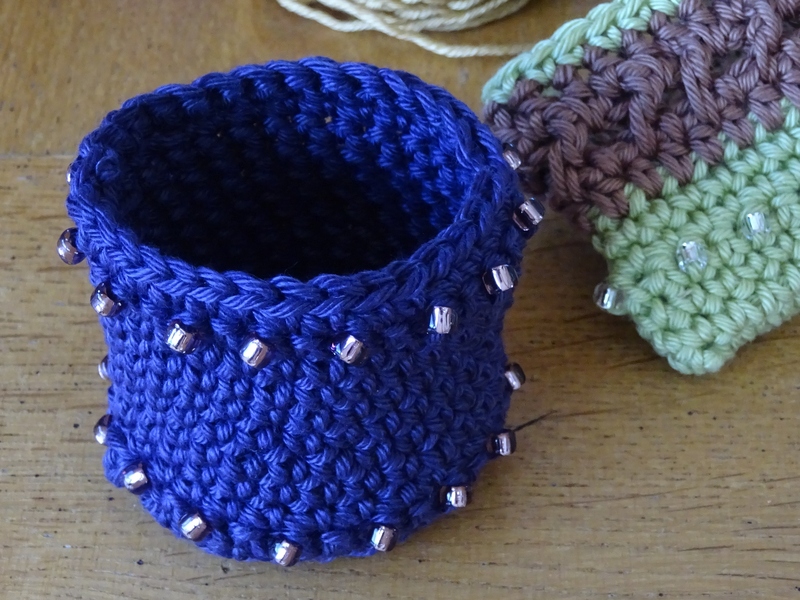 bdc = beaded double crochet – insert hook into st, yarn round hook and draw loop through st, push bead close to hook, yarn round hook and pull yarn through both loops on hook making sure bead is trapped in the st. Break yarn, fasten off and sew in ends. 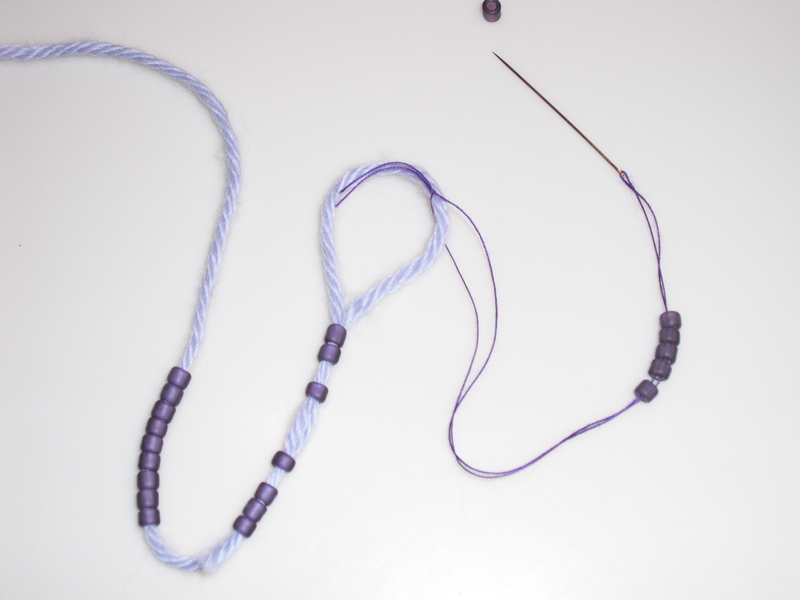 To thread beads onto yarn, first thread a sewing needle with sewing thread and tie in a knot. Loop the yarn through the sewing thread. Thread beads onto needle, along thread then onto yarn. Always thread more beads on than you need, as you may decide to adjust the size or you may make a mistake. It’s better to have unused beads left on the yarn rather than run out and have to cut and re-join the yarn if you do need to add beads. Please note this pattern is my design and the pattern and photos are copyright. I hope you like the pattern. And please share photos of any little beaded pots you make. PS I am human and can make mistakes, so if you spot a mistake in the pattern please let me know and I’ll correct it.